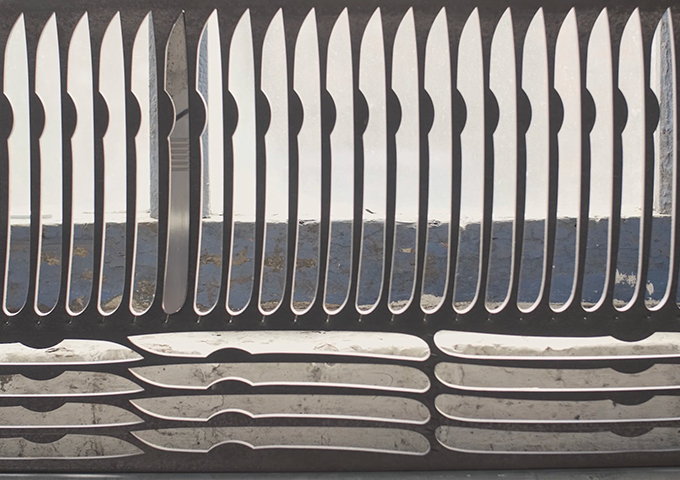 Inspired by the precision and agility of a scalpel our handmade knife is sharp, nimble and what great steak deserves. Measuring at just over 8 inches long, Skalpel has been tirelessly engineered and prototyped to a size, weight and scale that sits perfectly in hand. Generous and distinctive grooves in the handle provide satisfying grip and control. 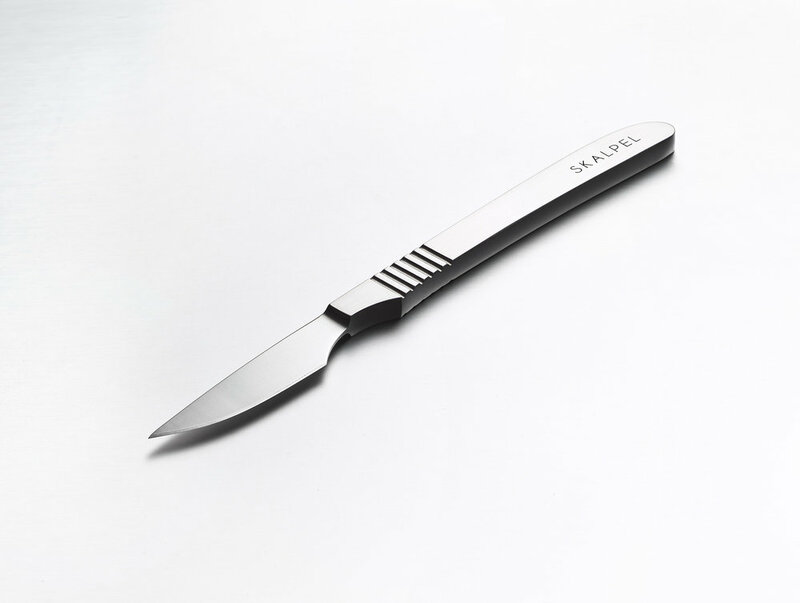 Skalpel’s smooth edge blade means this knife won’t drag and tear your meat when slicing, unlike a serrated blade. 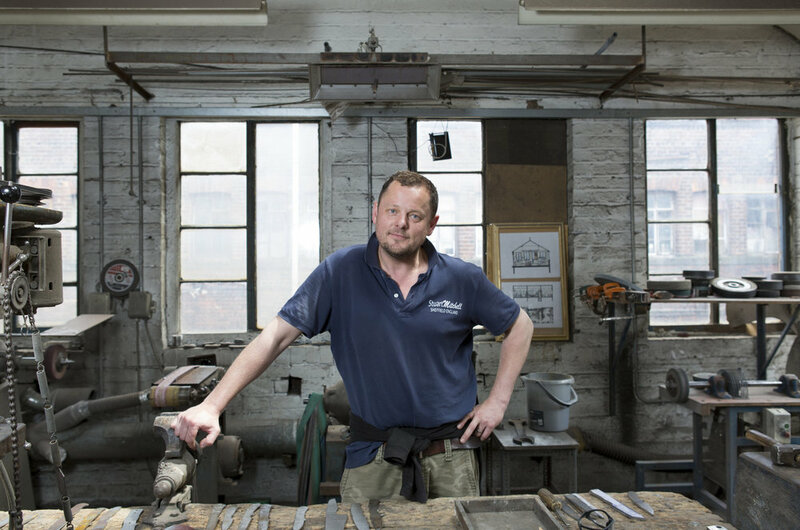 Each knife is made from scratch by the highly skilled hands of Stuart Mitchell, a master knife maker with over 35 year's experience. 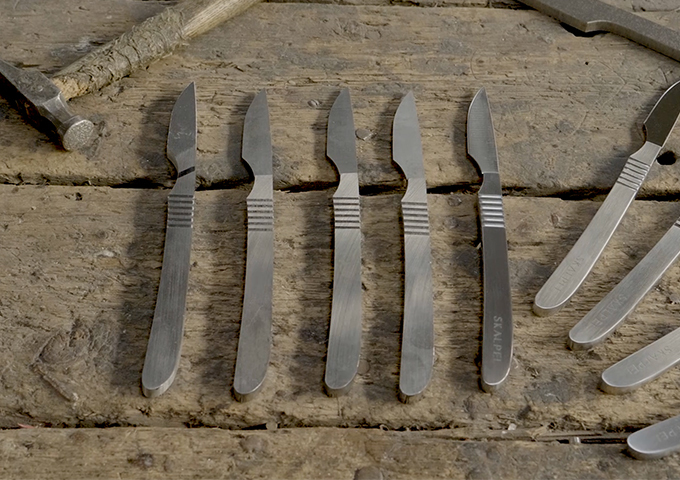 We only make 20 knives a week that’s because producing something this beautiful can only be done one way, the slow way. Stuart will pick up and put your knife down over 60 times before he’s ready for it to leave his workshop. This level of attention to detail results in a luxurious knife with a level of finish that could not be finer. 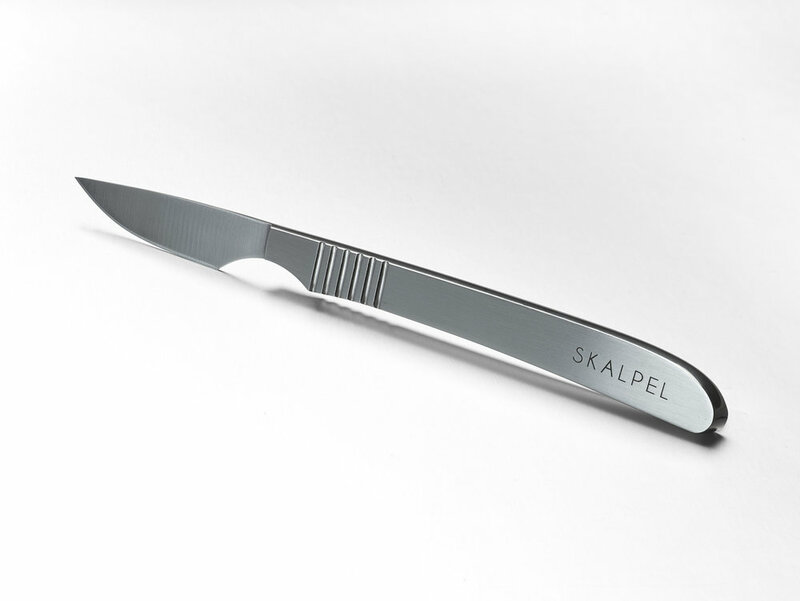 Skalpel is constructed from a high carbon, surgical grade stainless steel that stays sharper for longer. The 8mm thick SF100 steel is steel with a story, specially commissioned by Stuart to honour the centenary of Harry Brearley's creation of the first rustless steel or what we now more commonly refer to as stainless steel. If cared for properly a knife of this quality will last a lifetime. Click here to find out how to look after your knife. Our customers appreciate great design and great cuts of meat. 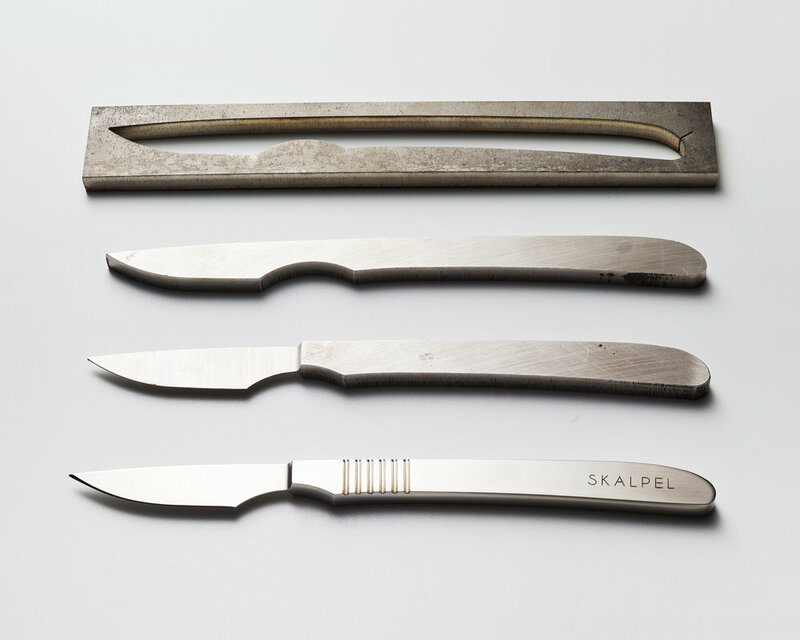 Skalpel is a mixture of contemporary design and traditional knife making values that leads to a finished product that’s always a talking point at the dinner table.